If you live in a place like Arizona, you might be spending most of your summers sitting indoors, playing video games, and watching TV because even a quick stroll in your garden might bring you painful sunburns. Also, imagine how much fun your kids are missing for vacations. These issues can be solved if you set your backyard right with patio furniture, fans, misters, and water features. It is possible to reduce the temperature in your backyard using misters and shady umbrellas to a great extent which will allow you and your family to enjoy the good side of the summer without having to get grilled. Also, you can’t keep your pets indoors forever; they would definitely want to go out and sniff around. You wouldn’t want your pets to get fried, not even if they are chickens because of the summer heat. While in some areas of the country, summers are bearable and you can afford to take an early morning walk or an evening walk, lots of other places might be scorching-hot. This is because of the geographical and latitudinal differences of the country which varies greatly and includes areas, like oceans, mountains, and deserts. Moreover, the temperature varies from year to year in different places and maybe this year you have to adopt a backyard cooling system. Here are a few ways that you can consider to keep cool in your backyard so that nobody misses a fun summer! Water features are things, like ponds, fountains, and cascades that are used in your garden or backyard. These things not only add up to the beauty of your garden or backyard, but also can offer you some water fun! Also, they help in keeping the surrounding atmosphere cool because they add moisture to the air. Here are a few water features you need to get in your backyard for the summer. Misters are simple nozzles that take water through tubes to spray it into the atmosphere as tiny droplets. These tiny droplets evaporate in the hot summer atmosphere to give your backyard a cooling effect. An average mister uses around 0.5 to 1.5 gallons of water every hour per nozzle. The amount of water used depends upon the type of mister. There are three types of misters that are classified based on the pressure with which the water is sprayed by them- high pressure, low pressure, and mid pressure misting systems. When the pressure is high, the size of the droplets decreases making it easier for them to evaporate and reduce the wetness. While high pressure misters can be used in high end places like resorts and restaurants, for patio misting, it’s best to have mid pressure misting systems. The type of mister has to be selected based on budget and place of use. Some of the factors that have to be considered while choosing the right misting system are-the direction of wind in your area, the height of the misters, temperature and water availability in the area, and the number hours for which you need to use them and at what time of the day. Pools are one among the best things you can consider building in your backyard if you live in a place that gets heated up real bad in the summers. There are different types of pools that can be built according to the space available and your budget. 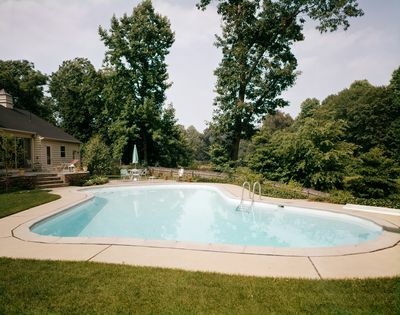 Basically, pools are of two types- in-ground pools and above-ground pools. In-ground pools are pools that are built inside the ground by digging the place, whereas an above ground pool is like a huge tub that is constructed using concrete and sealers to which water is filled. While in-ground pools are mostly preferred due to the beauty of their appearance and their natural look, above-ground pools are much cheaper and can be easily constructed in your backyard. 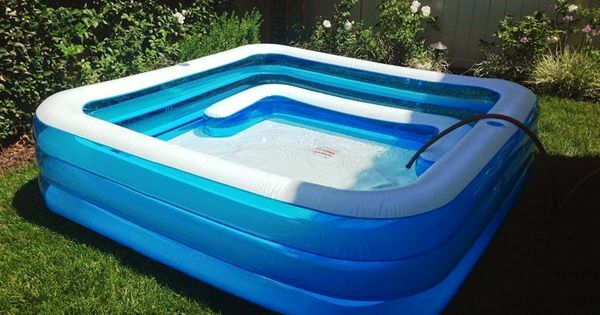 Apart from these, there are hard plastic kiddie pools that are really cheap and can be used even by adults. They don’t need complete pool installation and are portable. They are available in various diameters and are easy to maintain. Kiddie pools are the best option if you just need to relax outside in a cool tub of water. Ponds can add moisture to your backyard as well as create a beautiful and natural atmosphere for you to relax. Your kids can play with the fishes and see flowers and plants grow in the pond. You can grow beautiful flowers like lotus and lilies in your pond and have small fishes that will keep the pond clean. 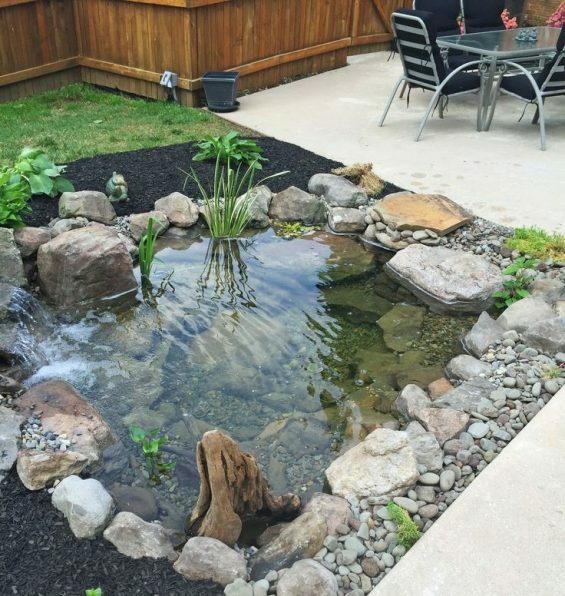 You can add a chair next to your pond and slip your feet into it for a good fish spa at home. Ponds can be of different types according to your taste and your budget. A natural pond is the simplest of them all where you can grow plants and fishes. 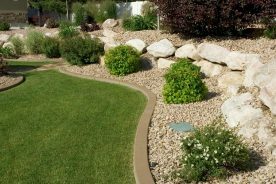 These require very less maintenance as they create a completely natural environment. Other options are ponds with waterfalls and water fountains in which you need to have water pumps and a motor attached to keep the water flow continuous. These can cost you more than a simple pond. Ponds don’t need much maintenance like pools because they’re not for swimming. However, both pools and ponds need to be fenced properly because you don’t want your kids or pets to drown in them. Ponds are best built outside the house in the garden or in the backyard because they need a natural environment. If the surroundings don’t blend with the pond, work on an innovative design around the pond that will help in the blending. Often while spending a lot on misters, fountains, and big umbrellas to bring cool to the yard, we tend to forget the importance of blessed shade from trees. They don’t just keep the garden and your backyard cool, but your house as well. They help retain moisture in the soil, give you shade and make home for lovely birds and squirrels which are a treat to your eyes. You can tie a hammock in your yard to these trees and read that favorite book of yours in the evenings when you want to relax. The mighty oak, as you may call it for its gigantic structure, is of a great variety. The deciduous varieties of oaks shed their leaves and have red leaves or leaves that change their color. Live oak is the best kind of oak if you are looking for shade in hot summers; but you can get other varieties of oak because they add beauty to your compound. 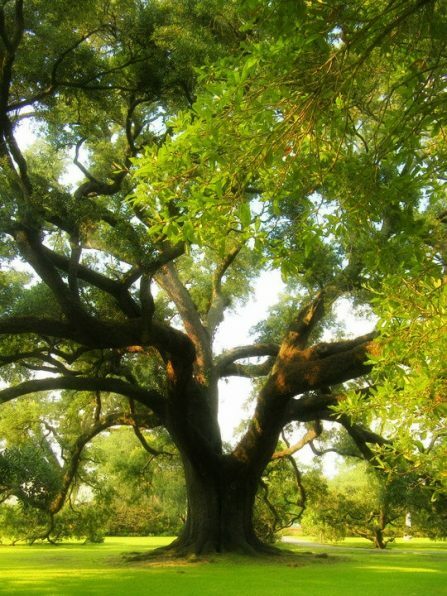 The evergreen variety of oak, called the live oak has thick and leathery leaves that are dark green. 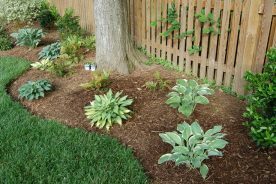 These are best suited for hot and dry climate and you need to make sure that there isn’t logged water around the root area since it might lead to the rotting of their roots. These are the fastest growing oak and you will be able to enjoy them within a few years. Acorns that are formed on live oak trees attract squirrels, birds, and deers of many kinds. The wood of these trees are popular for their strength and you can cut the branches to make furniture once these trees are fully grown. Maple trees are loved by everyone because of the fall color of their foliage. These trees grow fast and bring shade to your place. Some varieties of maple trees, like red maple trees grow within 10-12 years. 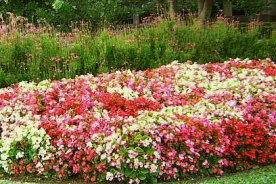 They grow in partially shady or sunny areas with drained soil. Elms are of many varieties that are native to Europe, Asia, and North America. These trees are popular for the beauty of their foliage and the fact that they bring shade to the environment. They can grow for many years and can be really tall. You can grow them in shady or sunny areas with drained soil. Make sure they get ample water when they are young. These fast growing trees have white barks and are native to areas with temperate and boreal climate. These are found a lot in the northern part of North America and are well known for their beauty and for the fact that they provide shade to keep the environment cool. The leaves are light and turn yellow in the fall. These trees need to be maintained properly since they die around 20 years of age in most of the places due to lack of care. The most important thing is to plant them in moist soil that’s not wet, and to ensure that they get ample sunlight throughout the day. 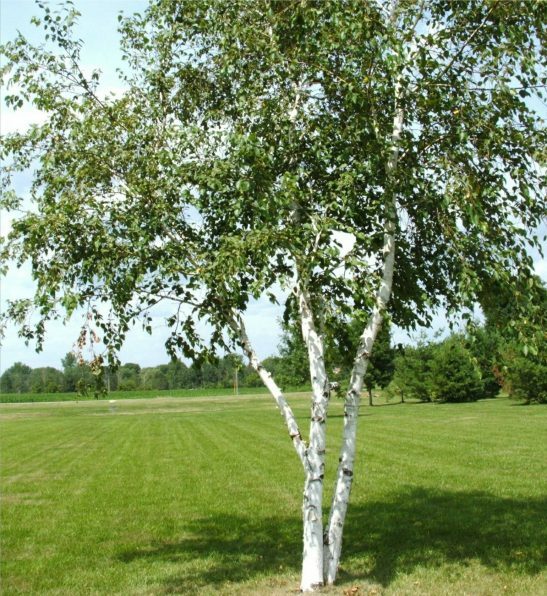 A healthy white birch tree should live for 40-50 years. Poplar trees are of many varieties among which hybrid poplar is the fastest growing type. These trees are ideal for your backyard and grow up to 8 feet in a year. By the time they attain maturity, they will be around 40-50 feet tall. There are around 35 species of poplar with different types of foliage. Poplar trees are native to North America, Asia, Europe, and North Africa. These trees grow mostly in temperate areas with good moisture content in the soil and require ample sunlight. It is difficult to grow them in areas where it snows. Evergreen trees are those which do not shed their leaves during fall or any other season. They remain green and provide you with shade throughout the year. They require good amount of sunlight and water to stay healthy. 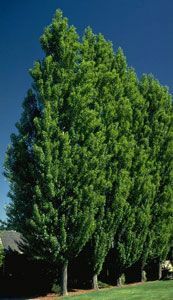 The thuja green rocket is one among the most popular evergreen trees that people grow in their backyards. They grow around 30 feet tall and 8-15 feet wide in 8-15 years of time which is quite a short period when compared to other shade trees that you can get for your backyard. You can add shade to your backyard using shade structures, like patio umbrellas and gazebos that will help you chill or take a nap while enjoying that summer breeze. Don’t miss out on sitting outside the pool after a swim and sipping some iced juice because of the blazing sun. You can feel your tension evaporate along with the water on your skin. Patio furniture and items can be expensive, but you can always find the one that fits your budget if you don’t want something that looks too fancy. You can remove and store them inside once the summer is over and use it for many more summers to come. However, not all of these structures can be stored that way like a pergola and will need you to follow a different method to keep them good. When we talk about shady umbrellas, we are referring to the big shady umbrellas that complement your patio furniture. These umbrellas are mostly made of the same fabric as that of patio cushions and can have wooden or aluminum handles. 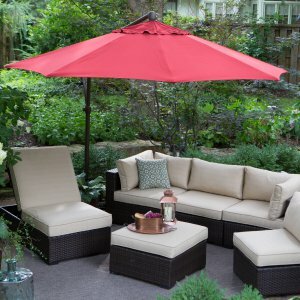 You can buy them at a patio furniture shop or online but make sure that the fabric is resistant to water, mildew, mold, and UV rays that can spoil the fun and the umbrella. If you’ve got the time and patience, you can build your own patio umbrella at home according to your style and preference rather than buying readymade which will cost you more. To make your own patio umbrella, you need to buy the fabric, get a metal pole or a bamboo pole, some couplers, metal wires, and metal rods to make the structure. You will also need sewing machine and a power drill but once you’re done with it, you can enjoy it for a long time. Pergolas are of various types and serve various purposes, including keeping your backyard cool and adding beauty to your garden. 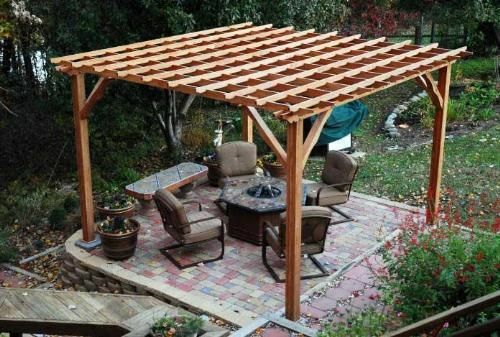 The kind of pergola you need to buy for your backyard or build in your backyard should match with the size of your backyard and the style so that it doesn’t look out of place. You can keep your patio furniture under the pergola which gives a look much grander when compared to an umbrella. Pergolas are usually made of vinyl, wood, or wrought iron. If you need a traditional and natural set up, wood is the best choice but it may need extra care like painting or polishing. Since they take up a lot of space, make sure you’re getting the right sized pergola for your backyard. When you’re building or fixing a pergola, make sure if you need to have any permits from the local authority. Check the frost depth of your area and fix the pergola deeper than the frost depth level to prevent shifting of the ends from the dug holes. 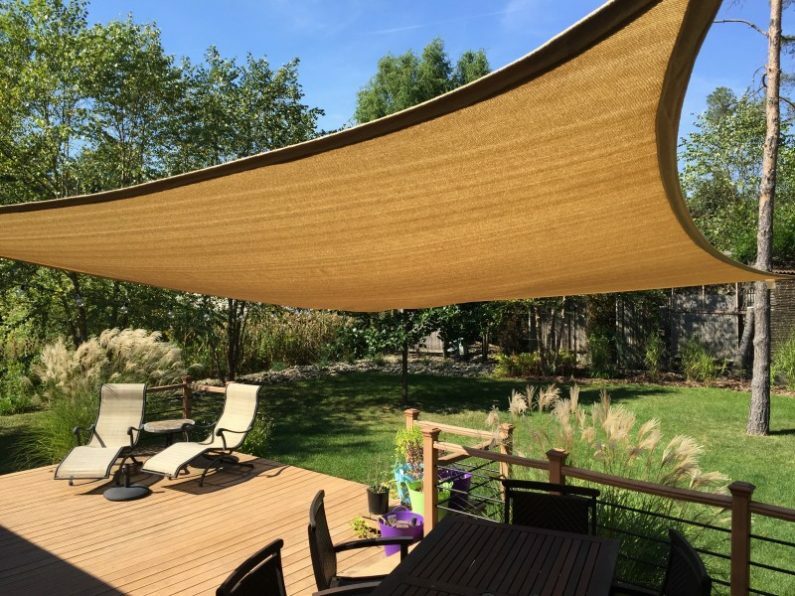 Shade sails are pieces of fabric or cloth that are hung on top of your seating area in the yard. However, it can do much more than that by bringing cool and shade to your entire area. Since these are highly customizable, and are available in a variety of shapes, sizes, colors, and fabric, you can buy them and set them according to your liking. One of the most important things you need to consider while tying or setting up a shade sail is the location. The sunlight keeps fluctuating in intensity and position throughout the day and wherever you are setting up; the shade sail has to be thick enough to protect you from sunlight. If you’re making shade sails at home, make sure it covers up the entire area of your requirement. Also, if you live in an area where there’s harsh sunlight throughout the day, get canvas with vinyl coating to make the shade sail. Awnings are sheets of canvas or other material that are fixed outside windows and doorways to get protection from sunlight or rain. 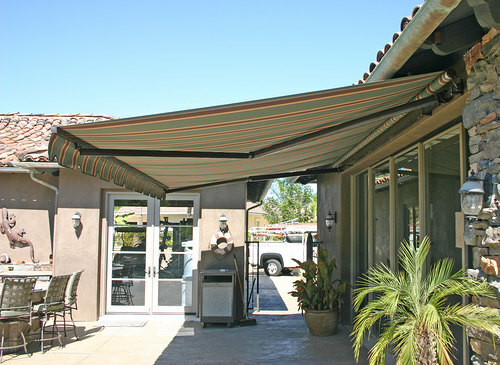 There are three types of awnings: full cassette, semi-cassette, and open awning. Full cassette awnings are the most elegant ones and they provide maximum coverage from sunlight for your windows in summers. When you get awnings fixed, make sure that you approach certified suppliers with good track records and ratings. Also, make sure that you get awnings with at least a few years of warranty. Fans are good options if you want to escape sweaty outbreaks out in the summer. However, they need extra care and you cannot use the same indoor fans outside. This is because the fans that are fixed outside are subjected to a lot of weather changes and need to be extremely durable. Also, not many people know that fans outdoors can also disperse bugs and flies. There are basically three types of ceiling fans: dry rated, damp rated, and wet rated. A dry rated ceiling fan is the one we use indoors whereas a damp rated one can be used outdoors where it doesn’t get wet directly in the rain. 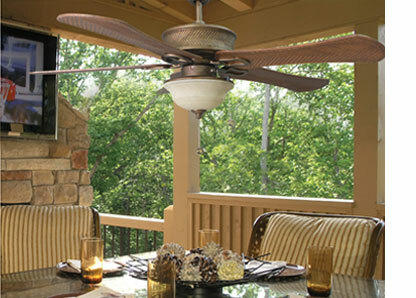 A damp rated ceiling fan can be used in a closed gazebo, patio, or a pergola. If you are fixing an outdoor ceiling fan in a place where it might get drenched in rain, you need to use a wet rated fan. You need to use one or more fans according to the temperature and the space you need to cover. Wider-bladed fans can cover more area. You need to make sure that the outdoor fans are heat, rust, and melt resistant. 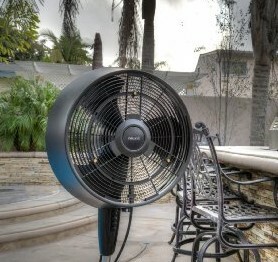 There are many types of fans that you can set on your deck. These fans can bring cool breeze to your summer evenings and also help keep the bugs away. You might be surprised to know that the American Mosquito Control Association recommends large electric fans in backyard decks to deal with mosquitoes because they cannot fly against the wind of a deck fan. 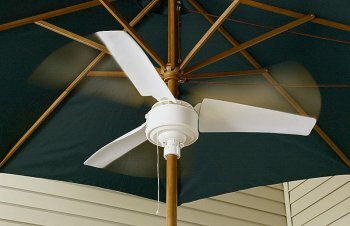 Umbrella fans are a great space saver in your patio because you can fix them around the pole of your big shady umbrella. They bring cool breeze to you while you relax under the shade of your umbrella. They also drive the bugs away from you. What is a good summer without some fun? Summer holidays are surely the kids’ favorite time of the year and they do look forward to have a blast. You can be a super cool parent by getting them a few of the below mentioned items for the summer which not just the kids but even you can enjoy! Sprinklers are tiny tubes with outlets that sprinkle water around. 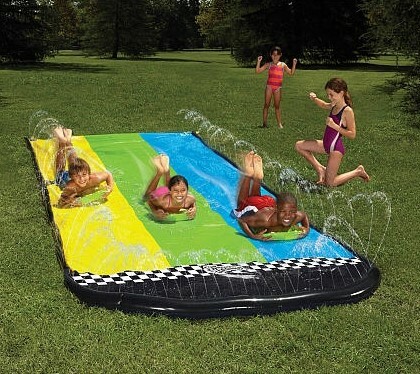 These can be fun because the kids can run around and play with their friends or you and get wet under the warm sun. They come in different colors and shapes. You need to make sure that you buy sprinklers that fit your backyard area and preferably on a lawn so that that ground doesn’t get muddy and dirty. A water table is a big table filled with water and other structures which can be fun to play with for your kids. They can slide, float, and sink their ships and other plastic toys in the water and spend hours having fun. This is not dangerous like having fun in a pool or near a pond and doesn’t require you to stick around. However, you can play along with them and teach them water properties and how to keep safe in real life water structures like tubes, slides, and pools. Water balloons are fun because they are colorful tiny balloons filled with blasts of cold water! You can play along with your kids by having a water balloon fight by throwing them at each other and scoring points every time your balloon hits a person. You can also fill colored water or ice water in the balloons to make it more fun. 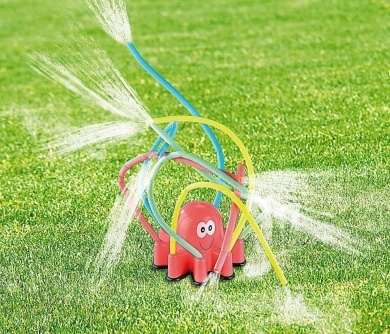 Water balloons can be filled directly through water pipes outdoors or you can buy a water balloon pump. Slip and slides are made of thick plastic sheets which have heat sealed ends that are bent and water is kept running through the slide. You also need to add something slimy so that the movement of the body becomes easier and smoother along the slide. Along with kids, even you can slide on this and have a great deal of fun. However, there are chances of getting bruises around your shoulders and hips because of friction. The water supply can be connected to your garden hose. You can buy a snow cone machine and ice crushers to create the best summer treats for your kids. Buy a few flavoring syrups and get the summer party started in your garden! You can also get ice cream machines and small portable refrigerators to your backyard to continue the cold treats supply to your backyard. Our brain contains 73% water and studies show that the brain tissues will dry out like a sponge if you don’t drink enough water in the summers. This will affect your thinking ability, memory, and can turn you really sick. Dehydration can also lead to dry mouth, mild constipation, light headedness, loss of appetite and dizziness. The best way to check if you are properly hydrated is by checking the color of your urine. The darker the color of your urine, the more amount of fluid your body needs. Make sure you drink a lot of water according to your body weight, height, age, and the temperature of the place you live in. You can calculate the amount of water you need to drink per day using various apps. Eat fruits and veggies, like cucumber, watermelons, celery, and spinach that will add water to your body and cool it down. Make sure you drink healthy water that is purified or boiled and you eat properly washed fruits so that you don’t get sick. Summers are one of the best seasons to make memories and have fun because that’s when you and your kids get a lot of holidays to spend more time together. The sun should not stop you or your kids from enjoying the summer and you should do what’s necessary to bring cool to your backyard and home.